Where is my gas shutoff? Whenever I perform an inspection on a house I note the location of such items as the electrical panel and water shutoffs. 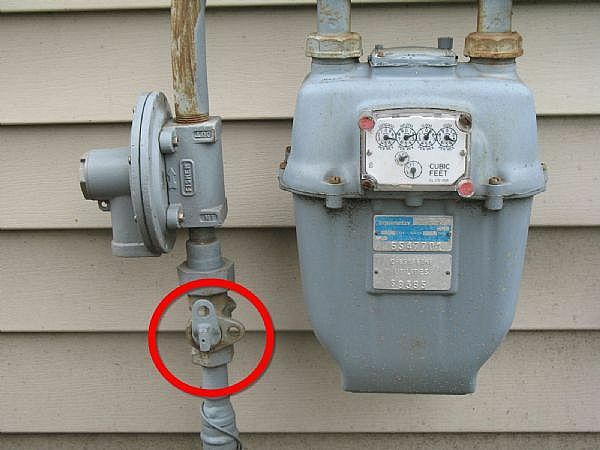 When it comes to noting where the shut off for the gas line is I always report it as being located on the exterior at the meter. Now since most homes have various shutoffs for the gas on the interior you may ask why would I overlook those and report only about the shutoff on the exterior. The reason is simple, Safety! Natural Gas is a heavier than air gas. This means that in the event of a gas leak it will fill the lowest lying parts of the house first. It will fill the basement first and then work its way up. Why is that a big deal and why does that have anything to do with the shutoff? Shutoffs are normally located in the lowest level of a property and if there is a basement it will surely be located there. So in the event you open the entry door to your home after being gone and are hit with the smell of natural gas it is a high likely hood that the natural gas is more heavily concentrated in the basement. At this point entering the house is very dangerous, let alone venturing to the basement to shut off the gas. Something as simple as a static spark from walking across the carpet and grabbing a door handle can cause an ignition of the natural gas. You may noticed on the news reports of natural gas explosions the house is often times completely leveled and surviving a blast and subsequent fireball produced is not a probable likelihood. This being the case entering the home to go turn off the gas is not advisable under any circumstance. The best course of action is too have planned ahead for such an unlikely but potentially deadly event. A wrench should be chained or connected to the gas meter on the exterior so that the gas can be turned off at that location and then the fire department can be called and all occupants can stay a safe distance from the house. For this reason I always report the location of the shutoff as being only located on the exterior of the home at the gas meter.